Our Mission At “Wigs By Angelline,” is to help rebuild your self image! Everyone may deal with hair loss differently, but the feelings we share are all the same when losing your hair. At “Wigs By Angelline,” we look to change the stigma against hair loss. 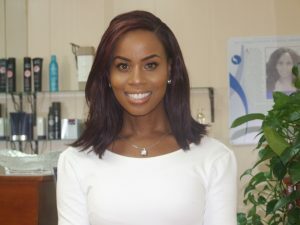 Angelline, the owner of Wigs By Angelline, took from personal loss to create a line of human hair wigs to match any one’s need. Since 2009, Angelline has contributed in creating custom wigs for women and children nationwide. Each wig is designed to fit the recipient as well as customized from the lace to the color, length and texture from the “ Wigs By Angelline,” hair donor base.Each consultation takes 30-45 minutes in which the recipient makes the decision to create their custom wig with their own hair or be matched to the hair donor of their choice. “ Wigs By Angelline,”has contributed to the lives of many cancer survivors by creating a positive image by dedicating their time and effort to learning the newest trends and technology in cranial hair prosthetics. No one needs to know you are losing your hair, “ Wigs By Angelline” is your answer. Call us today for your consultation and begin the journey to self love again! Copyright © 2019 wigsbyangelline.com. All Rights Reserved.